No matter how you slice it, Americans like to eat out. 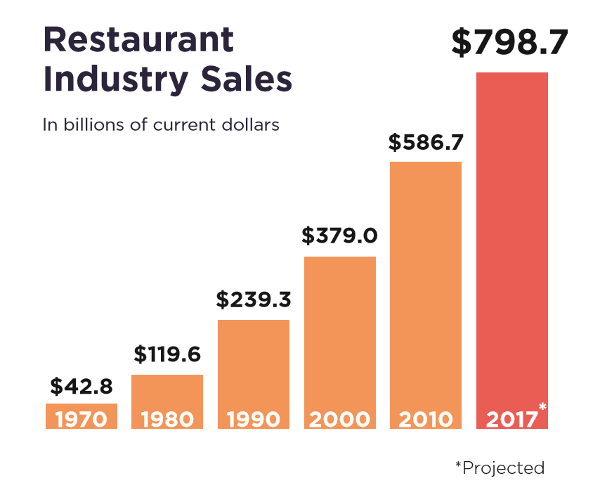 In 2016, restaurant sales reported by the National Restaurant Association totaled $766 billion, and the association expects 2017 sales to reach $798.7 billion. But that doesn't mean it's all beer and skittles for the industry. Both same-store sales and traffic dipped in January, as did the Restaurant Performance Index -- a monthly composite index that tracks the health of the industry based on survey responses from some 400 restaurant operators nationwide -- but only by 0.4%. And there's been a lot of naysaying about how eateries will fare going forward. Rising labor costs -- a large component of restaurant operating costs -- are cause for concern, as well as increased food costs as inflation looms. On the flip side, however, increased wages, spending and consumer confidence could lead to more dining out. According to analysts at Technomic, a research and consulting firm servicing the food and food service industry, sales at full-service restaurants are expected to grow by 3.5% in 2017, albeit by a modest 0.8% after adjusting for inflation. Marketing research firm NPD Group expects to see more consumers eating out this year, but anticipates growth at quick-service rather than at full-service chains. NPD restaurant industry analyst Bonnie Riggs recently told Nation's Restaurant News, "It's just a battle for share," explaining that competition exists beyond restaurant competitors. "It has become a very fragmented market," says Riggs, "and consumers have many options available to them to obtain a prepared meal." One way restaurants can get an edge is through innovation and use of technology. Younger consumers are looking for novel experiences, so operators have to push the envelope to get their business. This includes giving customers more choices and offering digital menu options that will allow customization of orders. Those that don't, according to Riggs, "will fall out of the consideration set and risk being overlooked by a large portion of the U.S. population." Continued growth in mobile ordering could also provide a boost to restaurant operators, according to NPD, and third-party delivery services like GrubHub (GRUB) , Amazon (AMZN) and DoorDash can help get food to customers. In addition to providing restaurant operators a channel to new customers, the use of technology can also increase store efficiency. In a recent article posted by The Motley Fool, contributor Dan Kline explains how this will emerge through two phases. The current phase, he says, is apparent in "Starbucks (SBUX) , Panera (PNRA) , Dunkin' Donuts (DNKN) , that are using technology not to take employees out of stores but to make stores more efficient." He also cites the example of Chipotle (CMG) , which, through its mobile order app, allows customers to order and pay and then pick up in a separate line from other customers. "That's what Starbucks is doing," he says. "So, instead of somebody having to take your order in the line, they're making your drink, so people go through faster, the store serves more people." It's hard to predict what's ahead for an industry with so many plates in the air. But there can still be opportunity from an investor's point of view, if underlying fundamentals stack up. Just yesterday, Panera Bread shot up nearly 8% on rumors that Starbucks, or some other firm, might be interested in taking over the $6 billion eatery. Darden Restaurants (DRI) is a full-service restaurant company (market cap $10.28 billion) that owns and operates approximately 1,500 restaurants including Olive Garden and LongHorn Steakhouse. Our investment strategy based on the philosophy of Kenneth Fisher likes the stock's price-sales ratio of 1.46 (the preferred range under this model for non-cyclical companies is between 0.75 and 1.5) and the debt-equity ratio of 22.34%. This methodology also looks for sufficient cash to sustain three years of losses. With free cash-per-share of $2, DRI passes this test. Cracker Barrel Old Country Stores (CBRL) operates over 600 Cracker Barrel stores in 43 states, offering a rustic country-store design with home-style food as well as a wide range of retail products (including seasonal gifts, toys, apparel and cookware). The company earns high marks from our Peter Lynch-based strategy, due in part to its earnings growth of 16.46%, which falls within the moderate range preferred by this strategy (of between 10% and 19%), and earnings per share of $8.35. Our James O'Shaughnessy-inspired strategy likes the company's size (market cap of $3.83 billion) and the price-sales ratio of 1.31, which is below the maximum level allowed of 1.5. McDonald's (MCD) operates and franchises restaurants in over 100 countries (market cap $105.91 billion). The company scores well under our Warren Buffett-inspired investment model based on earnings predictability and average return on equity (ROE) over the past 10 years of 30.2%, double the minimum requirement. Average ROE over the past three years is 43.9%. Average return on total capital (which includes debt in the calculation) of 17.1% and 16.5% over the last 10 and three years, respectively, adds appeal under this model. Management's use of retained earnings reflects a favorable return of 17.9%. Cheesecake Factory (CAKE) is engaged in the restaurant and bakery business (market cap $3 billion) through approximately 200 restaurants. 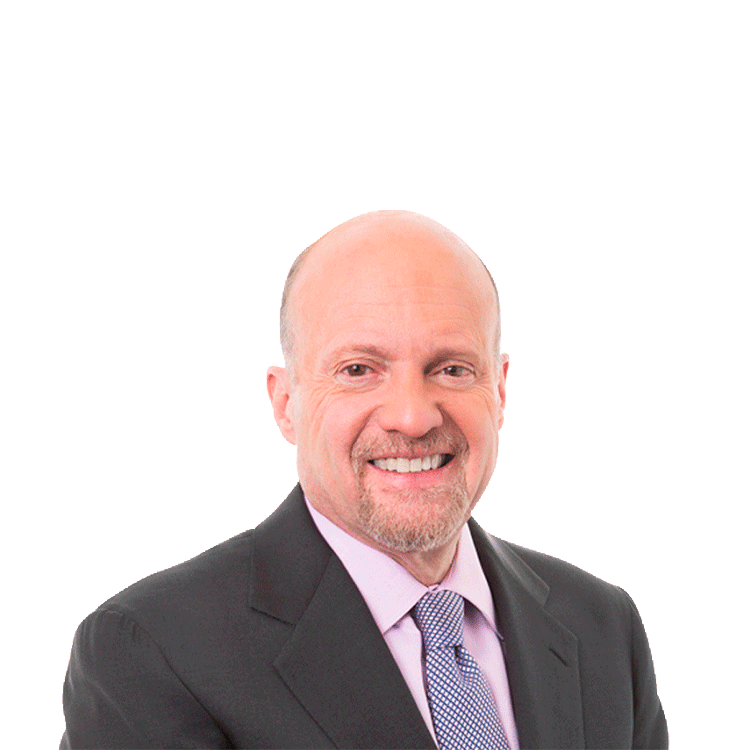 Our Fisher-based investment strategy likes the stock's price-sales ratio of 1.32 (based on trailing 12-month sales), as it falls comfortably within the preferred range of between 0.75 and 1.5. The debt-free balance sheet and free cash per share of $2.89 add interest. Three-year average net profit margin of 5.6% exceeds the minimum requirement of 5%. Dave & Buster's (PLAY) is an owner and operator of entertainment and dining venues. Our Lynch-based stock screen favors the company's ratio of price-earnings to growth in earnings per share of 0.20 (the PEG ratio, a focus of the Lynch investment philosophy that indicates fairness of price), considered best-case by this model. For companies of this size (sales of over $1 billion), this strategy likes to see a price-earnings ratio of below 40, as large companies can have a difficult time maintaining sufficient growth to support a higher PE. At 29.46, PLAY's PE easily meets this criterion. At the time of publication, Reese was long CBRL, although positions may change at any time.